Powering your business and your workflow. 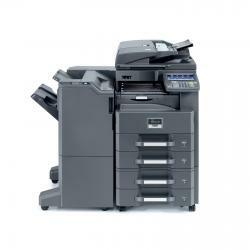 The Kyocera CS 3510i is designed with YOUR company in mind, bringing advanced functionality into a multi functional system that is simple to operate yet mindful of your bottom line. The 35 page per minute copy and print speed, and robust scanning is just the start, your office’s productivity will soar with the addition of KYOCERA business applications that handle day-to-day document imaging and workflow requirements with ease.